Starting March 1, Air France will offer a trio of freshly baked mini-lava cakes on-board the Detroit-Paris flights with seasonal fruit and a crème anglaise sauce. 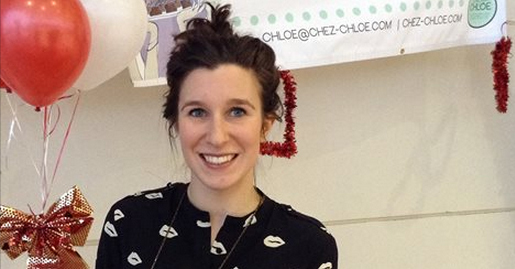 The addition of Air France as a customer is the latest step in the growth of [Chloé] Sabatier’s business, Chez Chloé. The Parisian native came to the United States for an internship while studying marketing and communications. While in New York studying she met her boyfriend – a native Detroiter – whom she ended up following back to the Detroit. You can find her cakes at several Metro Detroit venues, including these in “The D”: Eastern Market … Le Petit Zinc … MotorCity Wine … Always Brewing Detroit … Parker Street Market … Door to Door Organics – Michigan … and Treat Dreams in Ferndale. This entry was posted in Detroit, Restaurants, Uncategorized, Video and tagged Always Brewing Detroit, Chez Chloé, Door to Door Organics, Le Petit Zinc, MotorCity Wine, Parker Street Market, Treat Dreams. The names of Detroit’s fabled architects — Kahn, Rowland, Yamasaki and the two Saarinens, to cite but a few — are well-known and the source of no little bragging on the part of Detroiters. But what of the artists responsible for the architectural flourishes that often got you to look at the building in the first place? 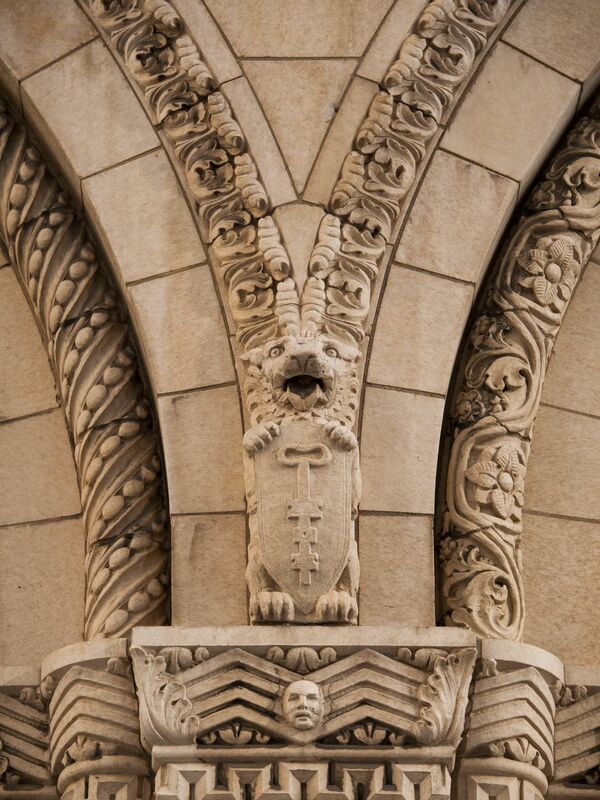 One such unknown is sculptor Corrado Parducci, whose embellishments gave punch and texture to structures as far flung as Detroit’s Guardian Building and Rochester’s Meadow Brook Hall. “Parducci is long overdue to be remembered,” says Detroit artist Gary Eleinko, for years head of the exhibitions committee at the Detroit Artists Market. “His Art Deco stuff graces so many of the major high-rises of the 1920s and ’30s. And his bear fountain at the Detroit Zoo is one of the most popular fountains in the area. 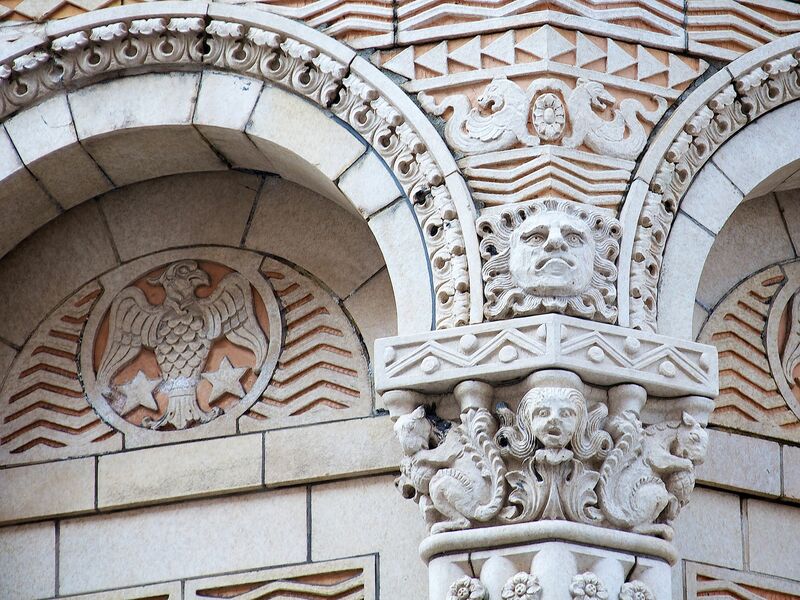 Show Me Detroit Tours visits several locations in Downtown and Midtown Detroit where you can see Parducci’s incredible works. 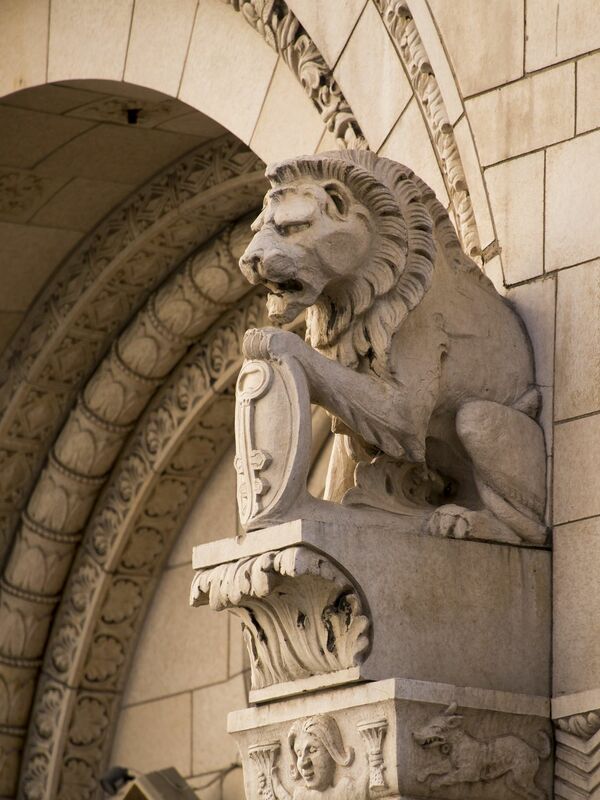 This entry was posted in Detroit Architecture, Detroit History, Detroit Photos, Downtown Detroit, Touring Detroit, Uncategorized and tagged Bankers Trust Building, Guardian Building, Parducci. This afternoon, the Detroit Free Press republished a 1982 story from its archives on the then-imminent closure of downtown’s J.L. Hudson’s building. It’s impossible to gloss over some of the eye-popping figures provided in the piece: Over 500,000 items were sold at any given moment across 25 floors and four basement levels; the size of the building rivaled Macy’s Thirty-fourth Street store in New York City. It was an enormous, cherished space in the downtown skyline. 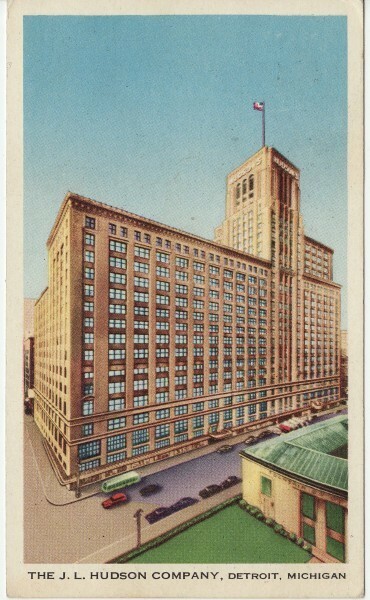 But the decision to eventually close the building was nearly three decades in the making … After sitting dormant for 16 years, a decision was made to implode the department store, a rather unfortunate move considering efforts in recent years to revive a glut of previously under-used historic structures in downtown Detroit. Read the complete article, which includes links to the Detroit Free Press archived 1982 story on the demise of Hudson’s, and a video of of the October 24, 1998 implosion of the landmark. A shout-out to CBS Detroit for its new list of “Detroit’s Best Guided Tours (Even For Locals)”. To read all of our guests’s reviews, click the TripAdvisor icon below. 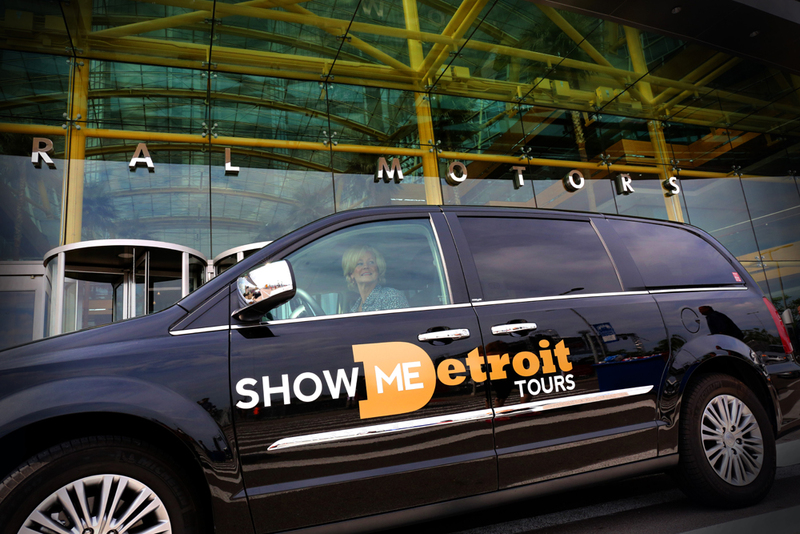 Whether your a local or planning to visit, get in touch with Show Me Detroit Tours for an up-close look at the “pretty and the gritty” of the Greater Downtown community. For details call 313.444.2120. This entry was posted in Downtown Detroit, Touring Detroit, TripAdvisor, Uncategorized and tagged Downtown Detroit, Touring Detroit.